There were two meetings on April 10 – both rather short. The Agenda PDF buttons point at downloads from the City website. COTW had only one delegation, gallery 2, and the whole meeting took just under 1 1/2 hours. Two councilors were missing but the Area ‘D’ Director was present to participate in the meeting. 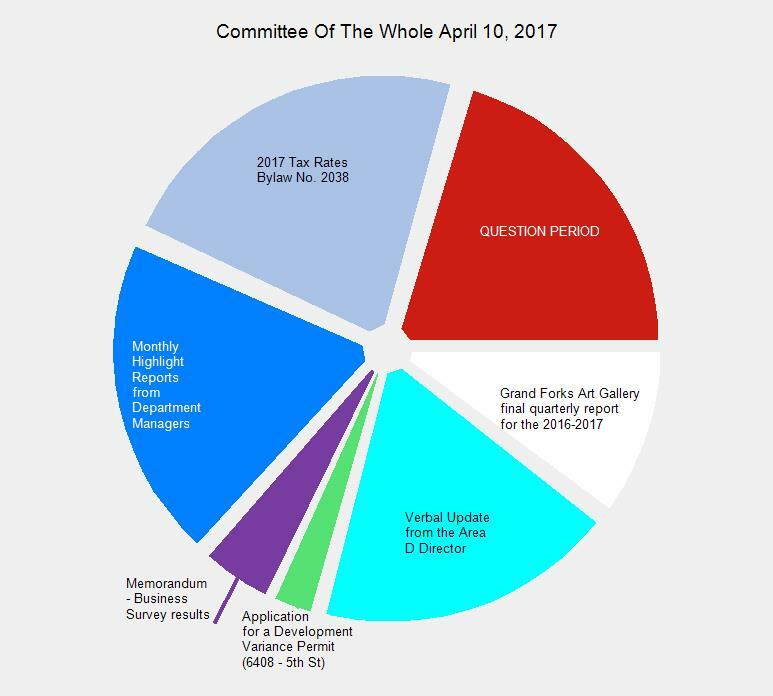 As you can see from the small number of slices in the pie this meeting was small and short on filler. With nothing coming from the gallery in the form of questions It didn’t even run a half hour. If you feel like watching the meetings from the beginning you may do so below. 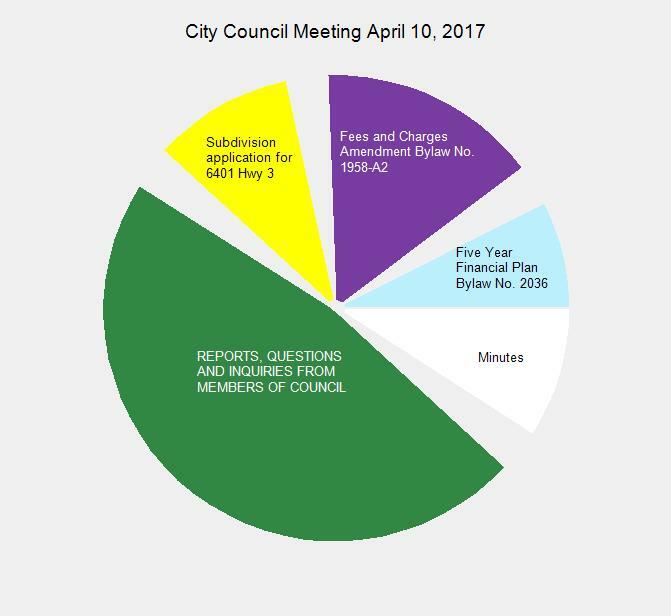 This entry was posted in City and tagged city council on April 11, 2017 by gftvboss.